Keeping your car at peak performance is incredibly important, and Southside Machine has the suspension traction bar that will satisfy your needs. Southside Machine is an Akron-based company that specializes in the products designed to significantly improve traction and reduce wheel hop. They make products such as ladder bars, traction bars and authentic race products. Their name is widely known as a company with a long history of success with drag racing and performance automotive components including ladder bars, traction bars, life bars, and control arms. Southside Machine is a brand that manufactures uniquely designed products with race-proven results. The original Southside Machine Company closed down and ceased production over a decade ago. The company founder decided to retire after years of running a respectable company; however, Southside Machine’s reputation lived on. Companies, in the past, have tried to introduce versions of Southside Machine products. They have not been able to reach the prestige and craftsmanship of authentic Southside Machine products, though. If you are looking to noticeably increase the quality of your tire traction, consider Southside Machine’s suspension traction bar. These traction bars feature a unique, superior design. They force valuable horsepower to the pavement, driving the back tires into the ground and giving your vehicle a reliable launch. Southside Machine’s quality manufacturing also gives you a product with suspension characteristics designed to better handle pot holes, bumps, and uneven pavement for a smooth ride. The traction bars Southside Machine designs will never flex or bend due to their heavy-duty, boxed steel tubing. 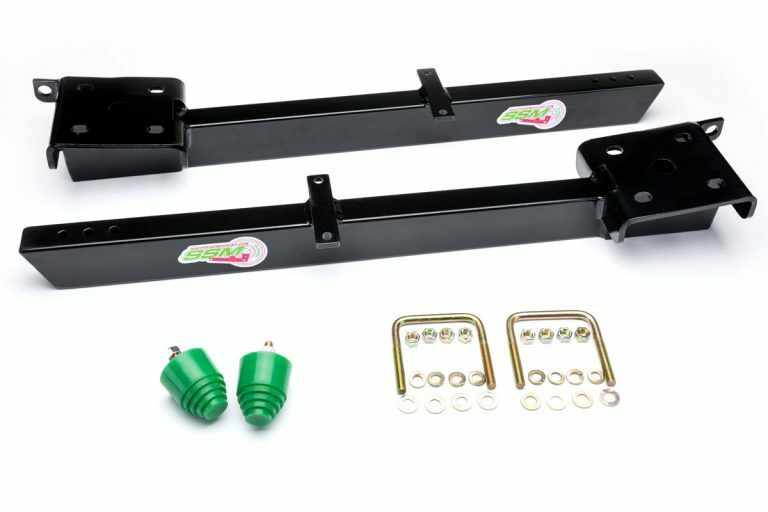 This will allow your vehicle to bounce and unload suspension during drag race launches. The traction bars also have a scratch, chip, and corrosion resistant powder-coated finish that will keep them looking pristine under your vehicle for years. Southside Machine makes parts that will make your car ride smooth and perform at an impressive level. Your vehicle will launch down the track smoothly, maintaining consistent, reliable traction. Quality-seeking drag racers or any other car lover would be remiss if they did not check out the products Southside Machine provides.